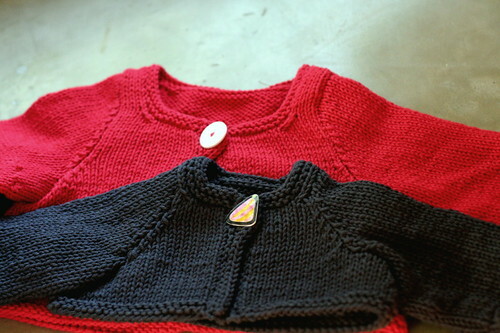 This cute little cropped sweater is a perfect quick knit for little tykes. The smallest size can be completed in a single afternoon! 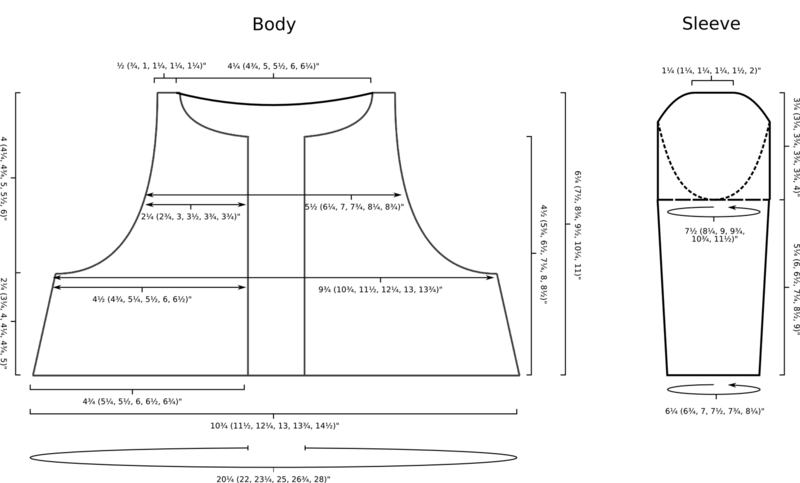 The single button closure makes this an easy garment to get on and off. 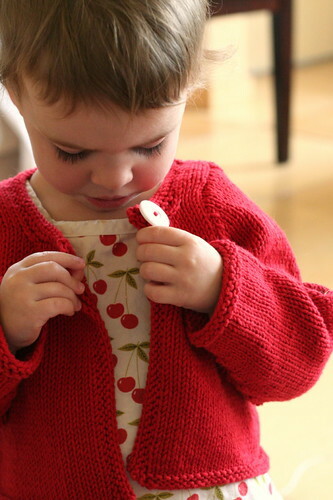 As an added bonus, the large button gives toddlers good practice putting on and taking off their own clothes. 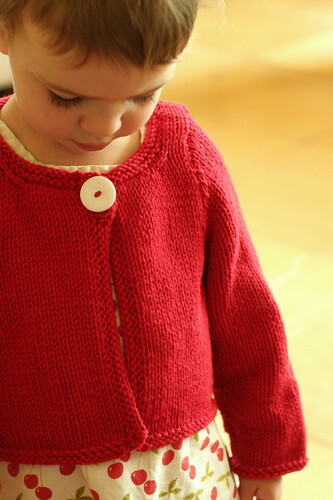 Since the cardigan is meant to be cropped, babies and toddlers will not outgrow it as quickly as other sweaters. 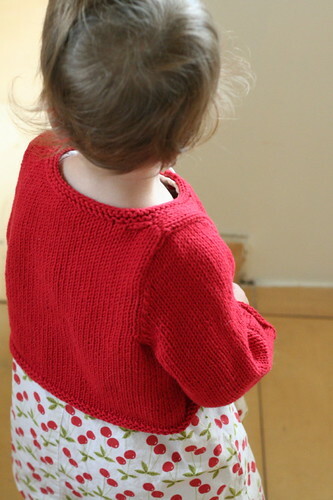 Decreasing, knitting in the round, picking up stitches, three-needle bind-off, sewing on a button. Note: Classic Elite Yarns Four Seasons has been discontinued and replaced with Classic Elite Solstice (70% organic cotton, 30% merino; 100 yd [91 m]; 50 g).